Buy Barcode Scanners Online at Best Prices! Barcode scanners are widely used in offices to reduce errors in transcription and recognition. They help users in reducing the chances of errors caused by manual entry on keyboards. To meet up with the demands of users, we have come up with a new range of barcode scanners. The barcode readers we have on online offer are ideal for usage in retail outlets, showrooms, airports and inventory management departments of different organizations at best prices. A code scanner plays a major role in decision support and planning systems. Using them the management of any company can gain greater awareness about product availability and inventory management for taking wise decisions and strategic planning. 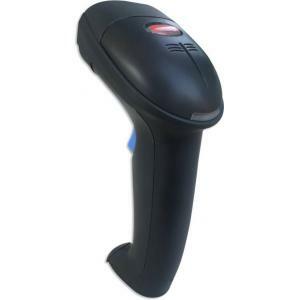 To satisfy the needs of people looking for the latest range of barcode scanner available online, we have sourced the latest models from eminent brands available in market. A barcode scan performed by a model from this range will have higher shock resistance as compared to the older models. They can support both USB and keyboard interfaces. Made from high-quality components such as ABS, some of these barcode scanners have dual scanning & storage mode. A barcode scanner or barcode reader plays a major role in helping professionals in keep a track of the sales and revenue generated through day to day transactions. To make it easy for them to manage a large amount of money on a daily basis, we have sourced the latest range of barcode scanners which are available in the market. They can scan barcode with a high level of accuracy and come with CCD scanners. Theese equipment have the ability to decode EAN-13, EAN-8, Code 39, Code 93, Code 128, UPC-A, UPC-E, Codabar, ISBN, Interleaved 2 of 5, UCC/EAN-128 and GS1 Databar. Therefore, they are used widely in libraries, industrial settings, legal offices, showrooms, warehouses, government offices etc. Barcode readers are commonly used for tracking products. To meet up with the needs of people working in commercial areas, we are offering a vast range of barcode readers online. The products which we have on offer can be used in instant or storage mode. They can scan quickly, therefore making the entire process of product scanning a hassle free one for the users. These barcode readers are shock proof and dust proof and are compatible with PC, laptop, mobile, PC, tablet, IOS, Android and Windows. They can store between 500-1000 records. Barcode scanners are highly useful for keeping a track of product prices and stock. To help professionals in stock management, we present the latest range of barcode scanners online. The products which we have on offer as a part of this range include Wi-Fi barcode scanners and wireless barcode scanners. The Wi-Fi barcode scanner models available here have a simple installation process. The auto caps lock detection feature of the keyword wedge ensures that the data always appears on the PC exactly in the way it is encoded in bar code. Our wireless barcode scanners are compatible with Windows and can work in the dual scanning mode. They operate using lithium ion batteries. The Honeywell barcode scanners which are available as a part of this category can perform as many as 72 scans per second. They deliver omnidirectional reading of linear bar codes and can be upgraded to enable PDF and 2D bar code scanning also. Why Buy Barcode Scanners and Readers from Moglix? At Moglix, we offer latest assortment of best quality barcode scanners and readers to meet the needs of users. These office machines has been devised keeping in mind the spending power of buyers from all walks of life. All specifications related to each model are mentioned to make sure that the people can opt for the exact product which can satisfy their needs easily. The products sourced by us undergo a number of quality checks before being dispatched for delivery. Therefore, you can be assured that you will receive the barcode scanner of your choice in the best working condition. So, to acquire highly functional barcode scanners, choose from the new collection we have on offer.